The WPA2 security protocol used on a large scale has been cracked for a long time. The security of WiFi is precarious. 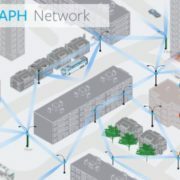 Finally, the WiFi Alliance announced the WPA3 encryption protocol, which improved the four major security features of the Internet of Things, encryption strength, prevention of violent attacks, and public WiFi. You can finally use WiFi to enjoy the internet most securely. Since the formal commercial use of WiFi in 2002, it has experienced 16 years of development and this market has no accurate equipment figures. 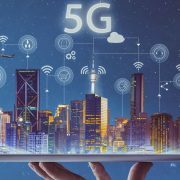 However, according to data published by the WiFi Alliance, there are currently billions of devices worldwide using WiFi connection networks. It can be seen that the wave of equipment replacement brought by WPA3 will be a huge market. At present, Qualcomm said that it will first support the WPA3 encryption protocol in the Snapdragon 845 chip in June. Other devices that support the WPA3 protocol will be announced at the upcoming Computex show. Devices that support WPA3 will have “WiFi Certified WPA3” tags attached. Devices that support the WPA3 protocol will be backward compatible with the WPA2 protocol too. However, to support the WPA3 protocol upwards, new devices need to be replaced. Given that many users seldom care about the security of routers, the adoption of the WPA3 protocol will require a period of time. I believe that friends who have set up a wireless router must be very familiar with the above two steps. However, since the WPA security protocol was broken for several years, WPA2 was also cracked last year. 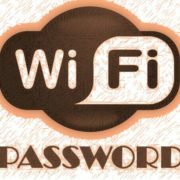 Hackers can crack the WPA2 security protocol through a security hole named “KRACK” to obtain the wireless router’s WiFi password. Every day, billions of devices around the world use the WPA2 security protocol. The consequences of being cracked are unimaginable. However, from the user to the vendor, no measures have been taken for the WPA2 to be cracked. Many people do not even know that WPA2 has been cracked and still consider it to be the most secure encryption protocol. The user also did not modify the password of his router, and 12345678 is still the most used password in 2017. The vendor also upgraded the firmware of the next product to tell users that the vulnerability had been blocked. Knowing that the KRCK attack directly affects the wireless router that is the hub of the home network, it is more terrifying than the virus on the PC. Attacks on the PC, service providers will promptly push the latest repair patches to protect users from attacks. On the hundreds of millions of routers or APs in homes and small and micro enterprises worldwide, there is no such repair capability. On the other hand, after installing the router, users rarely go to the management background to upgrade the device, and cannot update the latest firmware to protect their own security. Fortunately, the WiFi Alliance is still working hard for users to use WiFi securely. The organization recently announced the WPA3 encryption protocol, and the new WPA3 encryption protocol will bring four major security improvements. 1. More powerful encryption algorithm: WPA3 has a stronger encryption algorithm than WPA2. It can handle secure encryption applications in the industrial, defense and government sectors. 2. Prevent violent cracking: WPA3 will not be attacked by KRACK because of the Dragonfly protocol. And WPA3 strictly limits the number of users guessing WiFi passwords. Hackers use their own “dictionaries” to brute force attacks against passwords. 3. 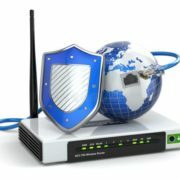 Improve the security of the Internet of things equipment: Nowadays, more and more smarter home devices are connected to wireless routers. WPA3 supports one-button settings and can be networked only by pressing a button, making IoT devices more securely connected. 4. Protect public WiFi: WiFi in public places such as airports, cafes, shopping centers, etc. does not require a password connection. There are security risks, but many people do not care about its security. WPA3 uses a special encryption technology that allows the connection between the access device and the wireless router to have a unique key. Even with open WiFi, data transmission between the device and the router will not be exposed on the network. The emergence of the WPA3 security protocol undoubtedly makes WiFi more secure. However, the WPA2 protocol will also coexist for a long time with WPA3. Although there are many people who do not take WiFi security seriously, as a standard for the WiFi Alliance’s mandatory certification, WPA3 will penetrate into everyone’s devices as the user equipment is constantly updated.